It seems Priya Prakash blindly put up whatever was sent to her by the perfume brand's PR team without reading it first. Winking sensation Priya Prakash Varrier was at the centre of major trolling recently for copy-pasting a post on Instagram without reading it carefully. The post was to promote a perfume line, and it seemed the Malayalam actress blindly put up whatever was sent to her by the PR team, without realising that the first sentence in the text matter was not supposed to be posted. 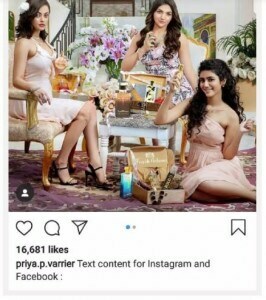 The actress later edited the post the removed the first line from the caption accompanying a photo of her with Sneha Ullal and Kriti Verma, who are also endorsing the same brand. But the damage had already been done. Some of her followers had already seen the post and comments trolling her had started pouring in. One user wrote, "Creative way of getting trolled" while another commented, "read before posting." Priya's social media fame began with the video from her film Oru Adaar Love, in which she is seen winking flirtatiously. The video made her an overnight sensation and she was fondly called the 'wink girl'. However, on the downside, her debut film did not get the same response from the audience. And it seems her followers aren't so forgiving of any goof-up that the actress might have made on social media. 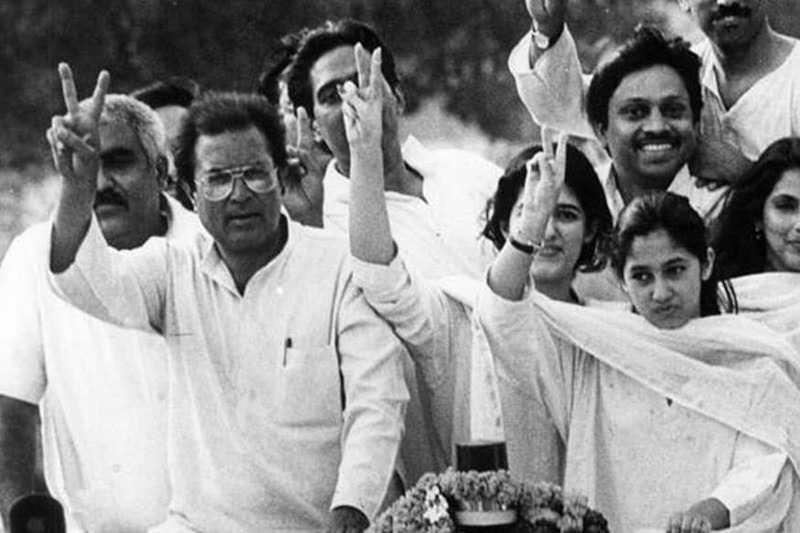 Earlier this year, Bollywood actress Disha Patani faced a similar situation for a copy-paste goof up.